The edges of this stitch are really sloppy. You will probably want to add some extra stitches to neaten up the edges of your fabric. 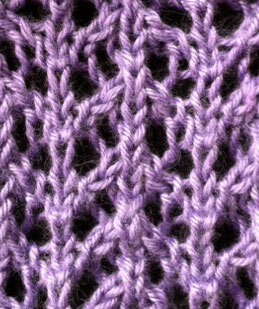 I would also recommend blocking your finished item to open up the stitch pattern.